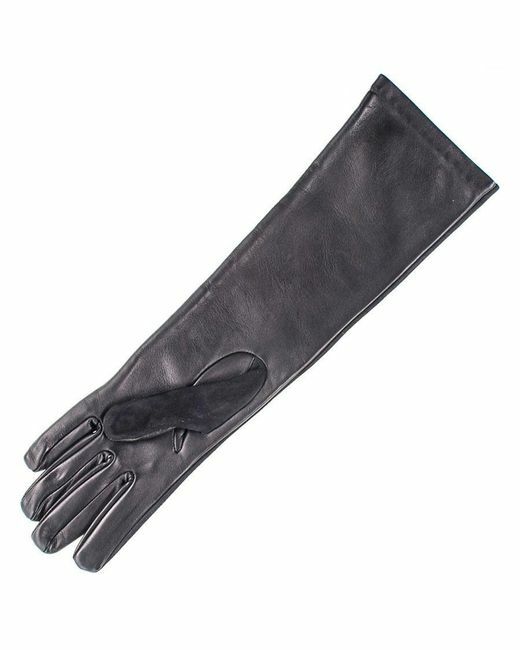 Long, sleek and fully lined with black silk these ultra soft and supple gloves combine the best of suede and leather. 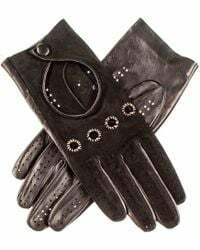 The outer side in black suede has three points to add a polished finish, whilst the under side in black leather is practical and stylish. 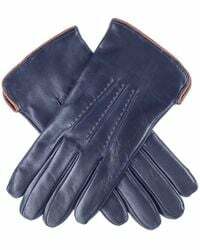 Crafted in Italy from superbly soft nappa leather, they finish below the elbow measuring 37cm from the tip of the middle finger. 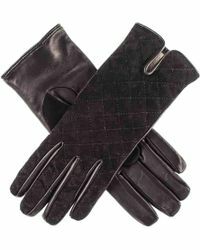 100% Nappa Leather. 100% Silk Lining. Length 34 cm (13.5in) from the Tip of the Middle Finger. Made in Italy.